Seafood is great. I’ll take nearly any kind of seafood in a variety of formats. I enjoy it all. Give it to me and chances are, I will eat it. I enjoy going out to eat seafood however it is something that we do not do as frequently as you would perhaps think. A few weeks ago, we were in the mood and decided to go by Steamers Seafood in Naples. It had been nearly 2 years since my last visit but, the Here Fishy Fishy call, still works. 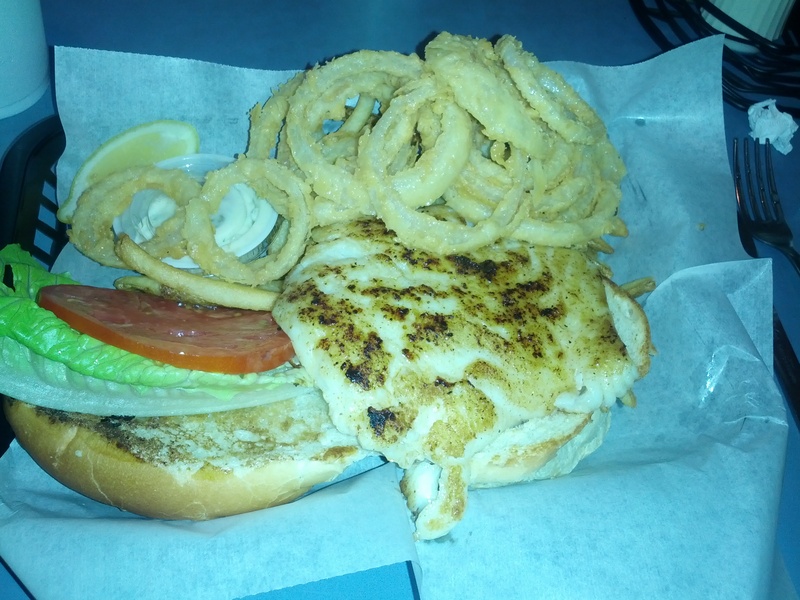 After browsing the menu, and the typically high seafood prices, I opted on the Grilled Mahi Mahi sandwich with a mix of fries and onion rings. As I have already reviewed those, we will focus this on just the sandwich. Now I must say, most buns from restaurants are simply huge. And I’m talking huge. Gigantic buns that simply over power the main subject of the meal. So was the case on this Steamers sandwich. Luckily, it wasn’t as noticeable as the sandwich was presented with the bun open. The first thing I did, was not eat most of the bun. I focused my meal on the mahi mahi, lettuce and tomato. I found this piece of mahi mahi to be great. It was lightly grilled which provided a slight chargrill to the exterior of the fish. The piece was somewhat thin however, it was perfectly cooked throughout. Every bite provided my taste buds with tons of good, fresh flavor. I found the fish to taste very mild and have no funky after tastes. 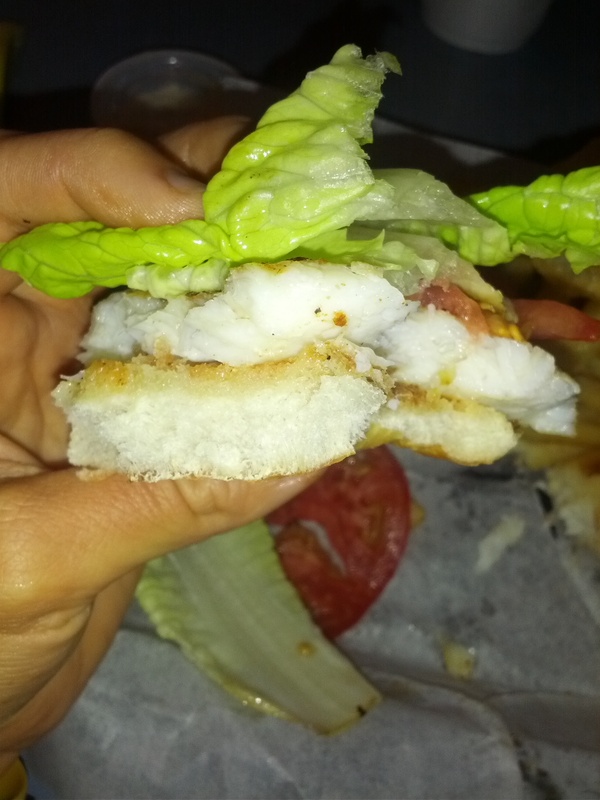 With the addition of the lettuce and tomato, I felt as if the mahi mahi was really able to shin and be the star. I also added some cocktail sauce to a few bites however, this was really not needed. This was one of the best pieces of mahi mahi I have had in quite some time. Perfectly cooked, mild flavored fish is what keeps the masses coming into Steamers Seafood. The prices may not be cheap but, you are guaranteed to get a really good meal. One that will leave you singing Here Fishy Fishy, all the way home.